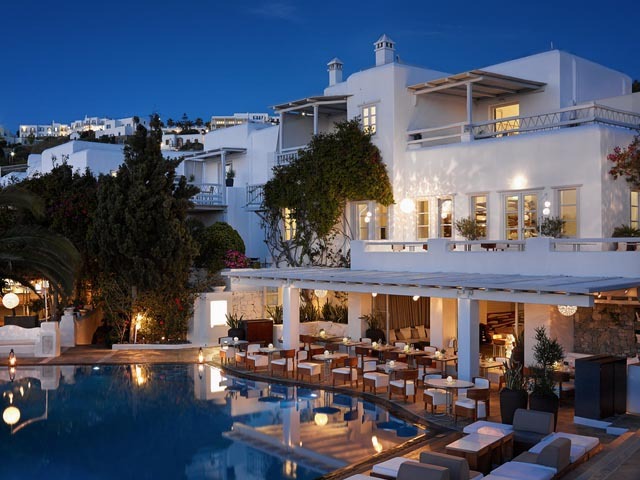 Boasting spectacular views over the Aegean Sea, the five-star Mykonian Mare Luxury Suites Hotel offers standard rooms & suites and a central swimming-pool overlooking the town of Mykonos, as well as Delos island. 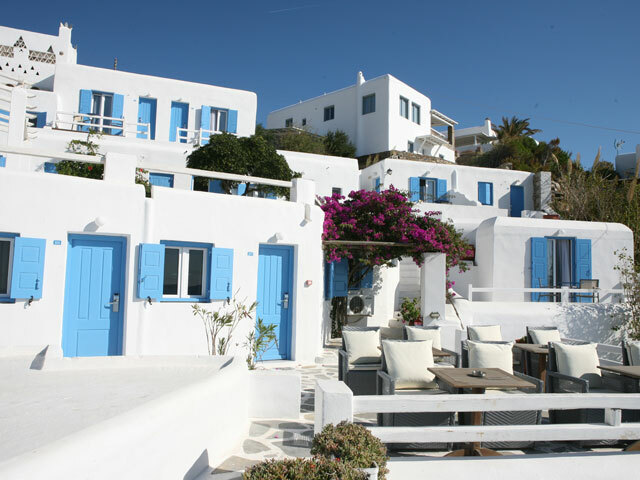 It is located in a 120 meters distance from the sandy beach of Agios Stefanos and 10 meters from the sea. A world of exclusive 5stars services and top-notch facilities unravels in front of your eyes when visiting the Cycladic splendor of Mykonian Mare. Experience myriads of unforgettable moments adjusting the brightness of your room according to your desired mood context, pamper yourself with our in suite spa services of Hammam & Jacuzzi and face the most idyllic and breathtaking sunset in the entire Mykonos! In a few words, welcome to Mykonian Mare! 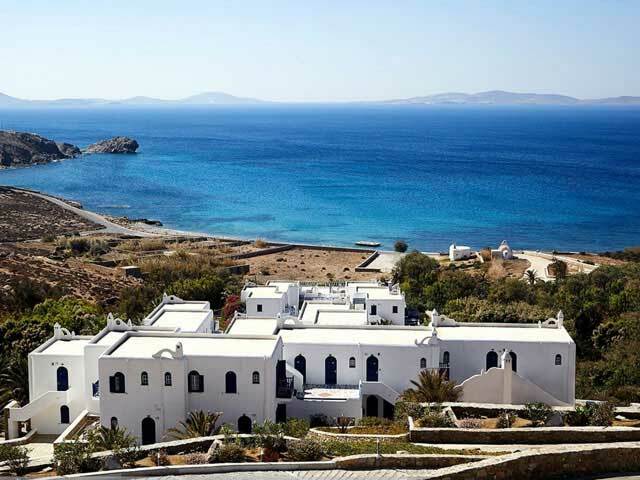 Mykonian Mare Resort is located in the famous Beach Of Agios Stefanos, overlooking the famous island Delos Β and Mykonos Town, Syros and Tinos. 1.5km from the New Port and 2.5km from the Old Port. Mykonian Mare s spacious suites feature minimal traditional Cycladic design and are equipped with free Wi-Fi access, ipod docking station and satellite LCD TV. Some rooms include an in-suite spa service providing a choice between Hammam, outdoor/indoor Jacuzzi, chromotherapy and aromatherapy, while some suites offer a private pool or a plunge pool & a sitting area. The Prestige suite of the hotel hosts an OpenSky service that can transform the room into an open space. All rooms offer the possibility of various music choices accompanied with a High-tech lighting system.